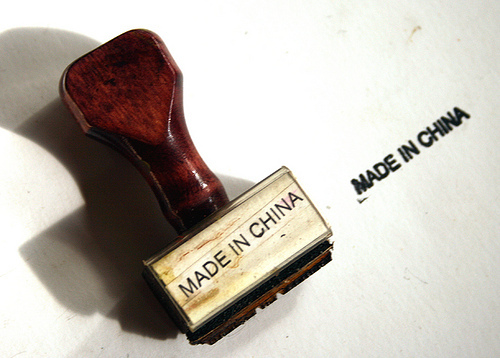 Codex has recently announced they are doing more work on antimicrobial resistance. This is an opportunity get Codex to have a couple of standards to better protect public health from one of the worst types of antibiotic resistance that might develop in the next few years or decade. Specifically to help prevent carbapenem-resistant bacteria transferring to people via the food chain including via imported foods into countries (some useful background on this issue from European Food Safety Authority (EFSA) here). 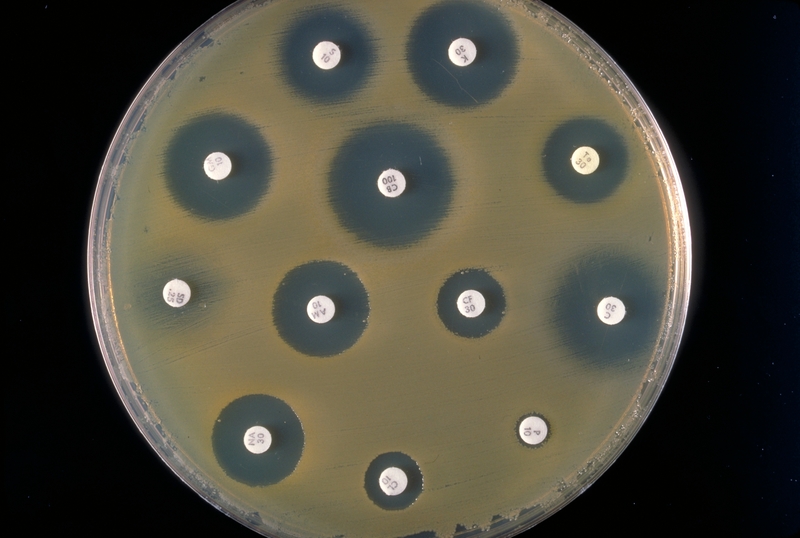 The emergence of CPE (and carbapenem-resistance in other Gram-negative bacteria) has forced us to reach to the dusty old antibiotic shelf to revive the clinical use of older agents with activity against Gram-negative bacteria, principally colistin. Colistin isn’t perfect by any means – it has poor tissue penetration compared with the carbapenems, and is associated with nephrotoxicity (although the high levels of nephrotoxicity in the older medical literature has not been reported due to better management of the drug). Furthermore, resistance has already been reported. To date – this has been mutational resistance, which does not have the capacity to spread horizontally. 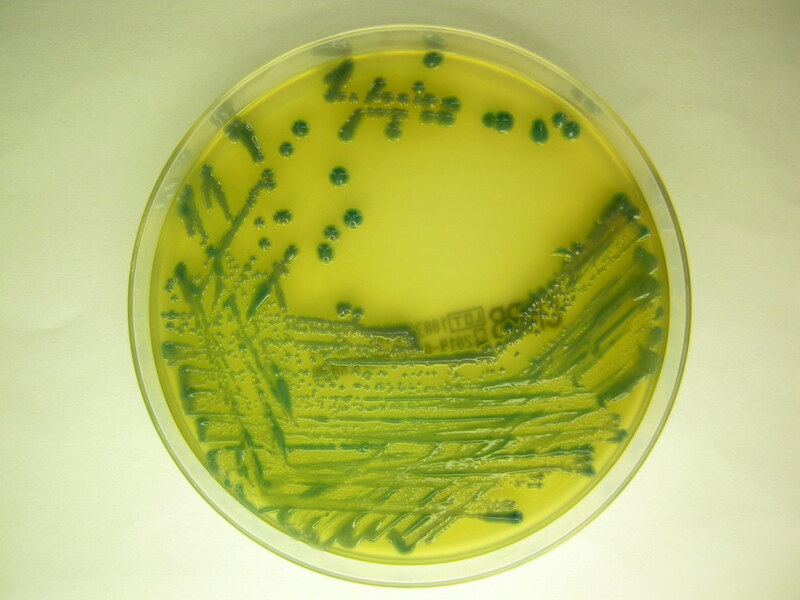 It was only a matter of time before a colistin resistance gene mobilised. What drives carbapenem resistance? Carbapenem use, stupid! 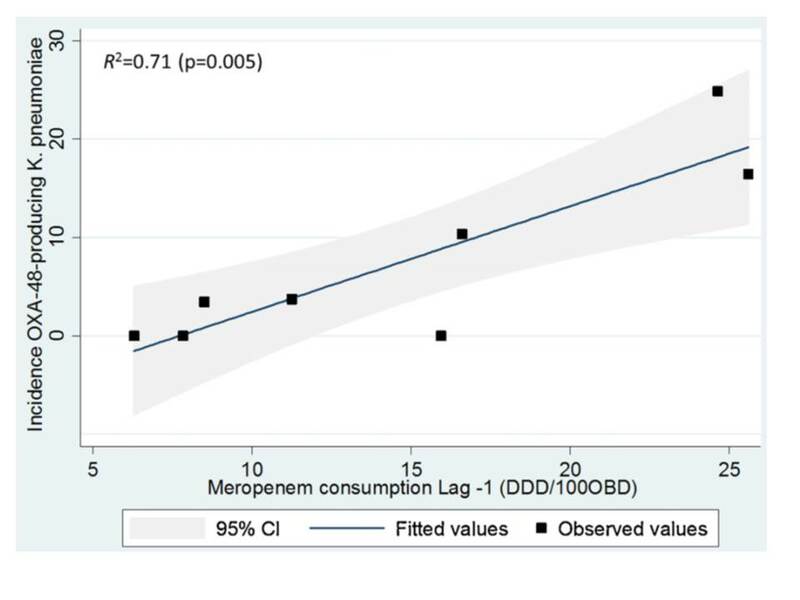 An outstanding study from colleagues at Imperial shows that if you use a bucket-load of meropenem (a carbapenem antibiotic) one year, you see an uptick in carbapenem-resistant Enterobacteriaceae (CRE) the next. The figure below plots meropenem use in the previous year with the incidence rate of OXA-48 producing K. pneumoniae CRE. I thought for quite some time about whether the title to this post ought to be a statement or a question. I decided on a statement: pretty much wherever you are in the world, I am certain that CRE is now one (hospital) degree of separation from you. I gave this talk yesterday at the imaginatively named “Darling Bugs of May” IPS conference, and you can download my slides here. I’ve given similar talks before, but the whole thing took on greater significance now I have had some first hand experience of making decisions around the management of CRE patients.